The workloads of small and medium sized home builders in the UK grew slightly in the first three months of 2018 despite record numbers reporting rising material prices, a new survey shows. The outlook among firms has remained positive but workloads grew at a slower rate than in the fourth quarter of 2017, according to the latest state of the trade survey from the Federation of Master Builders (FMB). The construction SME sector has now enjoyed five years of consecutive growth and 49% predict rising workloads in the coming three months compared, up from 38% in the previous quarter. The data also shows that 90% of builders reported increasing material prices in the first three months of 2018, the highest reading on record, and 58% are struggling to hire bricklayers while 55% are struggling to hire carpenters and joiners. Some 66% expect salaries and wages to increase during the next six months, up from 62% in the previous quarter. ‘Workloads for builders continued to grow in the first quarter of 2018 despite the Beast from the East wreaking havoc across the UK’s construction sites. However, once again, the growth we are seeing is slower than in the previous three months and this can be partly attributed to pressure from rising costs,’ said Brian Berry, chief executive of the FMB. ‘Indeed, 90% of builders reported increasing material prices in the first three months of 2018 and this is the highest reading on record. Insulation, bricks and timber are the materials that have increased the most and builders are predicting that these price increases will continue,’ he pointed out. ‘We are also seeing increased salaries for tradespeople stemming from the acute skills crisis and that, coupled with material price hikes, are squeezing margins and stifling growth for construction firms of all sizes,’ he added. 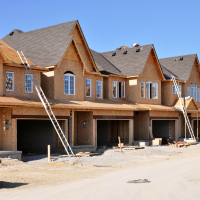 Berry believes that in terms of house building, these latest survey results should sound some alarm bells with the workloads of SME house builders dropping off in the first quarter of this year. He explained that while 197,000 homes were started in 2017/2018, this is some way off the Government’s target to build 300,000 homes per year. ‘The FMB has worked closely with the Government to identify how to remove barriers to small local house builders, but these latest results act as a reminder that there is more to be done,’ he said. ‘The FMB would now like to see the continued and speedy implementation of some positive Government policies designed to bring forward more small sites, properly resource planning departments and increase the flow of finance to SME house builders. If we are to reach our ambitious house building targets, we cannot rely solely on the largest house builders,’ he concluded.